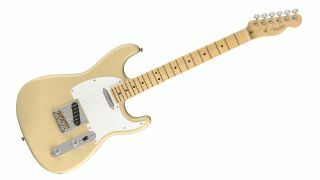 Fender has released the latest guitar to join its Parallel Universe of model crossovers, the Whiteguard Strat, which teams Telecaster specs with a Stratocaster body. So, that’s a lacquer-finished ash Strat body, teamed with a modern C-shaped maple Tele neck (complete with 9.5” radius), plus Custom Shop ’51 Nocaster single-coil pickups. 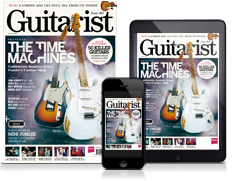 And naturally, there’s an American Professional Tele bridge with three brass barrel saddles, plus a custom-shaped white pickguard, from which the model gets its name. The 2018 Limited Edition Whiteguard Strat is available now for $1,999/£1,609. See Fender for more info, and head over to our original story for more on this year’s zany Parallel Universe model mash-ups.